When I first suggested that there should be PR Apprenticeships in March 2009, the silence in the industry was deafening. Even in my own workplace at the time there was scepticism – and even hostility – to the idea that anyone could enter a PR agency without the spuriously defined ‘good degree’. It has been a long road and the PRCA deserve huge credit for taking a lead on this issue, securing government funding to develop the framework and sign up many of the leading PR agencies and in house teams to the PR Apprenticeship. Yesterday, PR Higher Apprentices came of age. 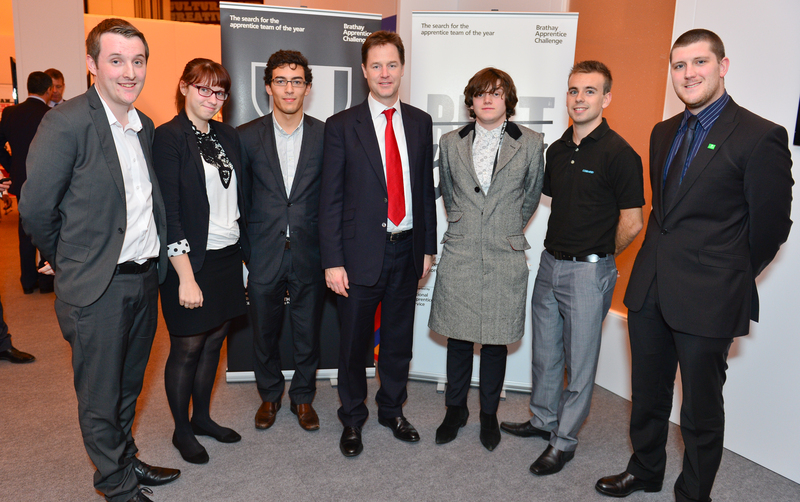 In the afternoon, Deputy Prime Minister Nick Clegg heard from Matt Seel, from Claremont Communications, about ways of getting more young people involved in community work. Matt was one of six top apprentices who competed in the Brathay Apprentice Challenge 2013 (with his former employer Burnley Council), the official search for the apprentice team of the year, and provided the Deputy Prime Minister with recommendations on how to increase the number of young people involved in community activities. Later on Jessica Kirby from Cirkle Communications was named the Unilever Higher Apprentice of the Year 2013 in the National Apprenticeship Awards at a ceremony at Birmingham’s NEC – meeting Skills and Enterprise Minister Matt Hancock in the process. Since starting the Apprenticeship, my aspirations have changed entirely. As an A-level student, I had quite a bleak outlook on learning and I certainly never imagined that my writing would be considered influential by leading industry practitioners. Today, I have a career path in an industry which I have real passion for, without incurring three years of university debt. I’ve become more confident and been able to realise my ambitions of rising to a challenge. The skills I have developed will help me throughout my life and I plan to use my PR Apprenticeship as a springboard into this highly dynamic and constantly evolving industry. Jessica was chosen as the winner in recognition of the outstanding contribution she has made to since joining as a higher apprentice last year. Described by her employer as “nothing short of remarkable”, Jessica has been instrumental in landing a range of campaigns for the agency and has responsibility for tasks including managing both agency and client social media accounts and assisting at high profile events. She regularly promotes Apprenticeships through blogs and speaker engagements and is working towards becoming an official ambassador for the PR Apprenticeship. Well done Matt & Jesscia. Let’s hope this is just the start of great things for PR Apprenticeships and apprentices in the PR industry. To see the latest PR Apprenticeship vacancies visit prapprenticeships.com.